Thanks to Talaat and Tai McNeely of His and Her Money for this guest post! 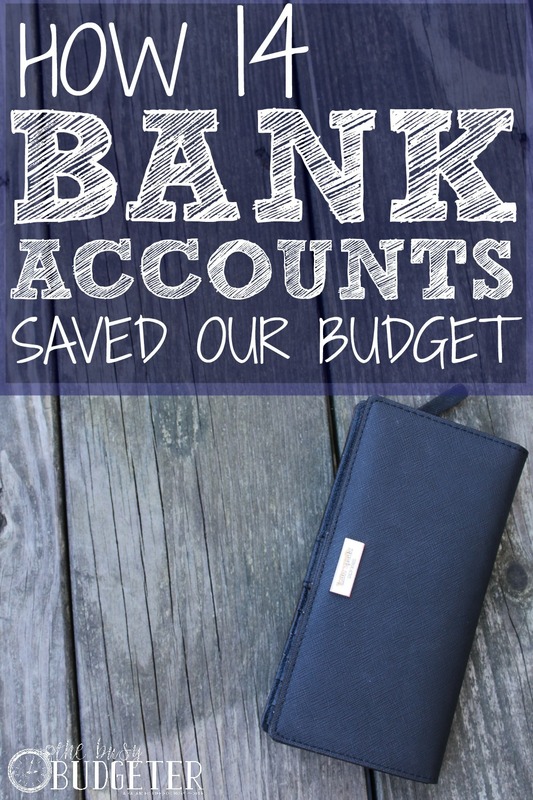 We started using multiple bank accounts about a year ago when Tai first told me about it, and I would never go back! Have you ever wondered if there was an easier way to handle your money, that will allow you to get out of debt and build wealth? Look no more! We adopted a system over 7 years ago that has revolutionized the way we handle our income and expenses. On our own personal journey to debt freedom, as well as the stories of the over 100 individuals that we’ve interviewed who have also become debt free; we have found that the key to debt freedom is consistently creating and sticking to a budget. 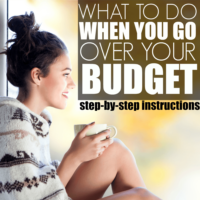 Some people cringe at the very thought of putting themselves and their family on a budget. However, the truth is, without mastering the art of budgeting, you will never achieve the financial independence that you so desperately desire. Now, before you come to the conclusion that this article is all about implementing a budget…it’s not. Please keep reading. One of the most effective strategies that we employ in our budgeting process, is the use of multiple bank accounts. We have what you might call an “online envelope system”, to help us keep track of our day to day expenditures. After getting married and combining our income and expenses, budgeting became a very overwhelming process. Whenever we would log into our online banking system, we would see a cluster of transactions moving in and out of one checking account. In an effort to gain clarity and a firmer grip on our finances, we decided to break our finances down into sub categories. We then went to our local community bank and opened an account earmarked for each sub category of our household budget. We have been using this technique for years now, and we LOVE it! It’s a system that is extremely easy to maintain, and it’s not very complicated at all. Not only has this strategy helped us to see where leaks in our budget had been happening, we were also able to build wealth as a result. We gave ourselves an immediate pay raise! Before you fall out of your chair, take a look at this break down of our accounts, and it will help to bring clarity to our process and why it’s so effective. This account is used for our main living expenses. Such as, mortgage, groceries, cell phone and utilities. Our income is directly deposited into this account, and we operate a good bulk of our monthly budget from here. Every month we set aside money that is dedicated strictly to eating out. It’s much easier for us to have a debit card attached to this account, to use only in the case of eating out. Whether it is ordering takeout or sitting down inside of a restaurant. This has allowed us to stay on top of our monthly dining budget, without it affecting our main household checking account. Once the money that we budgeted for takeout food is gone for the month, then that’s it for eating out! We absolutely LOVE this account! We use this account to set money aside monthly, for any bills that are due quarterly, semi-annually or annually. Certain bills such as, car insurance, homeowner’s insurance, water bill, life insurance, and garbage disposal. Each time, our car insurance payment was due every six months; it became difficult to come up with hundreds of dollars to pay the bill. So, we decided to take each bill and break it up into monthly amounts that we put away into this account. When the final bill comes due, the money is already put away to pay it. Most insurance companies charge you a fee to set up monthly/quarterly billing. For this reason, we decided to pay the money to ourselves monthly, and keep it in a separate account. This account is used to escrow our property taxes. Instead, of having our taxes escrowed in our monthly mortgage payment, we made the choice to pay ourselves. Each month we put money into this account, for future payment of our property taxes. Instead of the mortgage company making interest off of our money, we now make interest off of it instead! **We do not recommend you take this approach, if you know that there may be a chance you will be unable to pay your property taxes on your own. Every month we budget individual “fun money” for each of us. We get to do whatever we want with this budgeted amount, without having to check in with each other. I love having a debit card for this account, so that I don’t have to carry cash all of the time. My husband is on the account with me, but it’s strictly used for my pleasing. This account is used to put money away for vacations and trips! This account does not get funded each month. We don’t feel it’s necessary to make this a part of our monthly budget. However, we do put money aside from time to time, especially if we know there is a trip we would like to take in the future. We use this account to help build our retirement funds, pay down our mortgage, or store extra cash that we made. For example, we may buy a piece of used furniture from a thrift store, and then turn around and sell it on Craigslist to make extra money. The extra money that we make is then used to either build our retirement funds, or pay down our mortgage. We have savings accounts for each of our children. Any money that they may receive for birthday’s or Christmas, is put into their own separate account with their names on it. We don’t believe in taking out loans for vehicles. We believe in self-financing our cars. We pay ourselves a car note and place it into a savings account. That way, in the event that we need to purchase another vehicle, we have the cash to do so. This account is separate from our “Emergency Fund Account”. If an appliance breaks down, or if one of our non-monthly bills is much higher than expected, then this is where we pull the money from. We always keep this account at a certain balance to cover small emergency situations. This account is held at a separate bank, away from our other accounts. We don’t want easy access to this money because it is used for EMERGENCY situations only. This money is used to cover any unforeseen layoffs or any other major financial emergency situations. We are entrepreneurs and choose not to commingle our business funds, with our personal funds. We do all of our business transactions in and out of this account for our company. Keep in mind that these are our accounts. Some of these will fit your situation and some of these accounts won’t. You’ll probably have some sub categories for your family that wouldn’t be a good fit for ours. The point is, take this formula and configure it to the needs of your family. 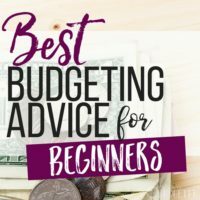 We have educated countless households on this budgeting strategy and not once has anybody ever said anything to us except, “THANK YOU!” If you take the time to put this technique into action, your personal finance management will be revolutionized forever. 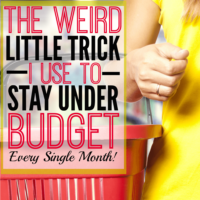 Budgeting is such a challenge in our house…I can see where having multiple accounts could help us stay on track… I think I’ll start with one extra and work my way up :). Wow i wish i could do that! I am starting with 2, I found a better interest rate. As I was reading I thought that’s a lot at first glance but very similar to envelope systems! Congratulations! I do this as well. 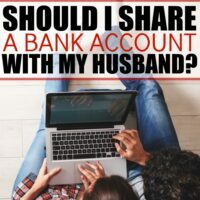 Our bank allows us to have unlimited accounts and my husband and I take advantage of that. It makes it so much easier to manage our money when we have a separate account for each category. I am having trouble finding a bank that is not an “investment firm” that allows its customers to have unlimited accounts. Which bank do you use? Thanks for the great post! Thanks for sharing this. My wife and I do this, too, and love it. Most of our accounts are with an online bank, and it’s easy to electronically transfer funds between those accounts and the bricks and mortar bank where we get cash when needed. We get more interest from the online bank than we do at the bricks and mortar bank, too. Planning is such a test in our home… I can see where having various records could offer us some assistance with staying on track… I think I’ll begin with one additional and work my way up. I found a superior loan cost. As I was understanding I felt that is a considerable measure at first look however fundamentally the same to envelope frameworks! Congrats! We use multiple banks. That way if we mess up they don’t take money from another account to cover the overage. HI, this is just a comment to correct your statement about your mortgage company making interest off your escrow account. That is not correct. I work in mortgage servicing and the money collected with your mortgage payment for taxes and/or homeowners insurance is not put into any type of interest baring account where the bank would make money off it, in fact it is illegal. The money basically goes into a sub account with in your mortgage account and is disbursed as required by your city or county. The only type of escrow account that can earn interest is one that is established due to a homeowners claim that involves large sums of money. It’s requires by law that the account earns interest equal to that of a banking savings account. Banks/mortgage companies don’t typically release a large homeowners check back to the homeowner, for example if the Check is over 10,000. The bank needs to protect the asset and will send an inspector out to make sure work was done properly and will then release funds to the homeowner or contractor. From 15 years experience its best if people who have a mortgage to escrow their taxes and homeowners. 99% of people are not disciplined enough to save it themselves and that creates huge problems. I was curious how you manage all of these accounts and debit cards. How do you stay organized? Do you label them? Do they have different colors? Do you only carry certain ones with you? This is similar to the envelope method my mom taught me – instead of using envelopes, you simply use bank accounts! I’ve been using this method for a couple of years now and I love it. I recommend it to everyone I know. I do not own any credit cards and am completely debt free because of this method. We do the same thing and have many accounts. It keeps us in budget and has made a real difference in our lives. I am glad to see other’s doing the same. Nice article! I hope you respond soon! I have a checking and spending account at this point. But, my bank charges a fee if you don’t use the account more than 10 times. Easy enough for a spending account, but probably not others (that is withdraws not deposits). I use simple.com. one bank account, but they allow you to set goals and allot money to each goal within one account. You can use an app on your phone to see how much money is currently allocated in each goal, plus unallocated money is automatically labelled safe to spend. You can easily transfer money from one goal to another. You can also set a goal to automatically allocate funds to that goal from any available safe to spend funds each day in order to reach a savings goal by a date you set. I love this – thank you so much for sharing! I knew there had to be a better way than opening and managing 14 bank accounts!! Between Simple and Mint… great options. Luckily, I’m not in any type of financial trouble where I need to do something like this. With that being said though, I know nothing about finances and am trying to learn more about the process by which all of this works. This helped me understand the importance of checking accounts, and I hope that I can use them to help me stay financially healthy. Make that three of us….would love to hear your answer on that. Also, what bank do you use that allows you to have that many accounts without paying monthly fees b/c of not having a high enough monthly balance or direct deposit? Our bank allows several simple checking accounts, just have to maintain $100.00 balance. Color coding the debit cards to a master list would be a good start. So far I have three accounts and thankfully one ends 000, the other 555. ? This makes me feel so much better. We have 8 accounts. I’ve been thinking about opening more and this makes me confirm that. May I ask which bank you use for free accounts? Thanks for sharing this. My wife and I have 14 bank accounts. I work as a freelance writer, so my income fluctuates from month to month. Seeing the totals online lets me know how much needs to be set aside in various accounts to meet annual budgets. Most of the accounts are with Ally, so the interest rates are also better than what most bricks and mortar banks pay. I also prefer this method over the conventional envelope method because it alleviates concerns over hard cash being misplaced or stolen. Loved this post! But I think 4 bank accounts plus Roth IRA = 1)behemoth brick and mortar national bank, 2) one online interest bearing investor savings / checking account, 3) one business account , 4) one high interest bearing online account, 5) one Roth IRA. Plus 2 credit cards = one pay in full every month American Express cash back rewards credit card and one other cash back credit card only used for your Monthly subscriptions like Netflix. Both cards paid in full each month. Set up your bank to pay Mtg/rent and any monthly bill that you can’t put on credit card. Put anything you pay monthly all utilities/ phone cable / gas / groceries (only budgeted amount) /transportation (what gets most rewards) on Amex pay in full each month. Automatically monthly have each bank transfer money into savings, investment account and Roth IRA each month. What ever you have left over put into online savings. Use debit card for eating out which is usually the biggest budget blower. Credit cards used responsibly actually boost your credit worthiness but you only need one or 2. Does your bank charge you for all those accts.? Are you using a bank or credit union? Do you have suggestion of a good one to use? Im single and have 7 Accts that I use. I would recommend discover bank – you can label them. It works so well ! Also, watch for accts that offer a bonus for opening – those are the best! Great advice! Compartmentalizing your finances is a great way to keep an exact number on all of your spending. Thanks for sharing! Larry Burkett, who has passed away now, used a system similar to this with only one bank account. I’ve seen his book in Lifeway Christian store they still carry it. You have the money in your account, but you have a notebook with different “accounts” on each page. You simply write the amount out of your checkbook and put it in it’s assigned account in your notebook. Then when you need the money you take it out of your “account” and put it back into your check book. It’s a simple system. This is how I do it. Even though all the money “lives” in one of 3 accounts, it’s allocated to one of 7 funds. oh my goodness….this is such a great idea! I’ve thought about a few separate accounts, but I can see this as extremely more beneficial. Accountability! I really enjoyed reading it. What a wonderful idea. I have two children and I have not thought of creating saving accounts just for them. I should start to work on that now. Thanks for sharing. It’s easy to forget all the many categories our spending comprises of! This system certainly holds you accountable for every cent you spend. Thanks for this helpful guide! I love this idea. I have about 7 accounts right now, but often some are merged with others and I have to constantly update my spreadsheet so I know what’s what. How do you avoid banking fees? Once of my accounts gets charged $5/mo. because it doesn’t get direct deposit and I already have a free checking with them. As a spending planner I teach my clients to have money for food, fuel, groceries and fun separate from all bill paying monies so if they do a bigger grocery shop from normal or get take away too often etc tbeir bill paying capacity is not affected. I love having multiple savings accounts each with a different purpose. it is no doubt that online banking is more reliable and cost effective. Ask bank to mark accounts to not take over drafts from any accounts. I started out with two checking and one savings accounts. As to mark debt cards use perment marker. I only used one acct. With debt card. Next checking account was for online banking. Savings account set up access by going inside only, to help not to spend savings. Later on i open another savings for emergency only. I never had overdrafts once i started this. This is good information thanks for sharing. Thanks for sharing. This is great advice. How do you move money around in these bank accounts. There is some government law about moving money around in . I was told I could only move money 5 times a month in certain accounts. Sub part D of some obscure outdated government law. I received a letter from my bank and a phone call about this. If I don’t comply my account could be closed. You are charged a fee for making more than 6 transfers out of a savings account. You can move money in checking accounts freely. Does the same thing but makes it WAY easier to manage.